SUPER WIN-SCAN, II! The ‘Single-Rule’ Wonder System that has caught the Racing World by Storm! ++FREE! Roger Duke’s Astro-Daily Double Odds Matcher!! The Z-CODE DYNAMIC ENERGY MODULE! 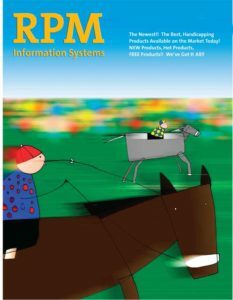 The First Horse Racing Methodology Ever to Employ Energy Wave Theory – Catches Horses at Their Peak Energy Fitness! PaceAce, PLUS!! 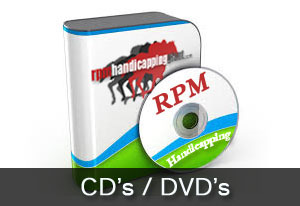 A TOTAL PACE Sartin-Style Software Program that Produces Accurate Selections to Boot!! ‘The Best I’ve Seen!’ Randy (Pace Appraiser) Giles. Now at a Great Discount Price! 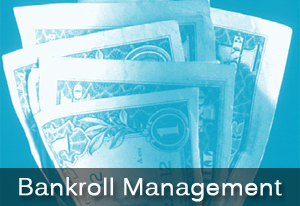 OPERATION TURF SUCCESS, II — Proven, WINNING Bankroll Management Strategies!! Turn Low Win %’s into Profits with these very Simple Plans! 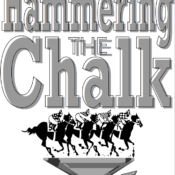 JACKPOT HANDICAPPING!! Going for the GOLD! 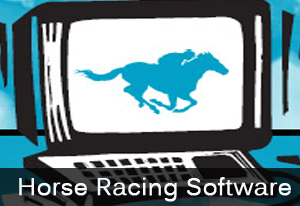 A New, Exciting Software Program that Employs ‘Chaos’ Theory to Unlock some of Racing’s BIGGEST JACKPOTS!! Hammering the Chalk, II!! 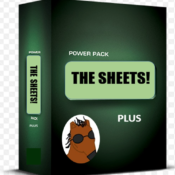 A Guaranteed Profit Method using Place & Show Bets!! Includes FREE!! HC, II Automatic Parlay Excel Spreadsheet!! Armchair Profits! 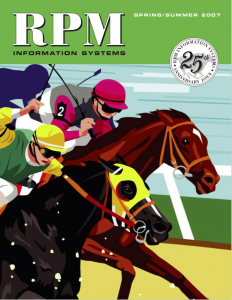 So what can a 24-Year-Old College Computer Whiz-Kid Handicapper, Who Majors in Probability Theory, Do For You? 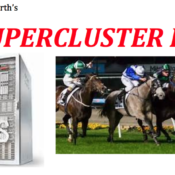 Jon Worth’s SUPERCLUSTER II!! — A POTENT COMBINATION of the WORTH COMPANY’S TIPS© Superb, Steady Results — 39.2% Win — 73.1% Place — 85.2% Show!! Order Soon Save $51!